With input from community health centers as well as key partners across the Gulf Coast, the Primary Care Development Corporation (PCDC) and our partners in the Emergency Management Initiative (EMI) developed by the Louisiana Public Health Institute created a toolkit that braids best practices of emergency management and community resilience. 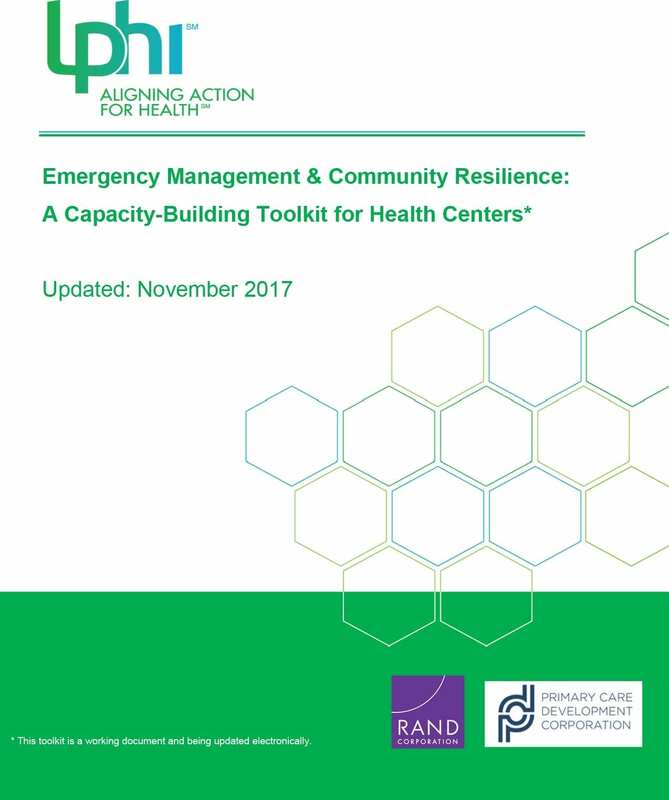 This toolkit is designed for use primarily by Primary Care Associations as a coaching tool to build emergency management capacity of members. Additionally, community health centers may use it to self-guide their emergency management efforts. This resource is not just a series of templates but rather it is a coaching tool designed to help create a well-prepared primary care system that supports the timely recovery of a health center’s community and operations.